Are Temesta Rehabs Private and Confidential? How Long Does Inpatient Temesta Rehabilitation Last? When Are You Ready for Help? Patients who abuse anti-anxiety medications may do so because they enjoy the pleasurable feelings that come along with that drug. -Rehabs.com According to the U.S. Department of Justice, police reported more than 2,000 cases of illegal Temesta use in 2009. Patients who abuse anti-anxiety medications may do so because they enjoy the pleasurable feelings that come along with that drug. Lorazepam is one of the most popular anti-anxiety medications, and manufacturers sell this drug under the brand name Temesta. The effects of abusing the medication are similar to the effects of abusing alcohol because both substances cause drowsiness, euphoric thoughts and feelings of relaxation. Those with insomnia, panic disorders and depression can also use the medication because it helps with sleeping problems. 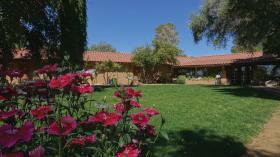 Temesta rehab centers help anyone struggling with an addiction to Temesta find ways to get off the drug. If you think that you have a problem with the drug, you should seek help from a private inpatient rehab facility immediately. -Rehabs.com Inpatient Temesta rehabilitation facilities provide a layer of support that outpatient clinics lack. With outpatient clinics, patients are free to come and go as they like, which can lead to relapse. 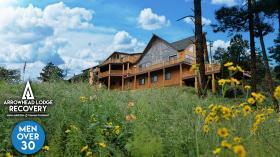 Private inpatient Temesta treatment centers keep patients housed in a communal living space. Patients can talk to nurses, counselors and other patients at any time. These centers ensure that patients focus on battling their Temesta addiction because they will not likely face stressful situations at home, work or in society while at the center. According to the American Association of Poison Control Centers, more than 36,000 people visited an emergency room in 2008 because of abuse or misuse of lorazepam. Anyone who has an addiction to Temesta should know that others suffer from the same problem. If you think that you have a problem with the drug, you should seek help from a private inpatient rehab facility immediately. You should seek treatment if you find that you cannot control your urge to use the drug. When an individual reaches the point where they can no longer control their drug use, that person has a dependence on Temesta. Tolerance refers to how much of the drug you need to take before you feel its effects. An individual can have a high tolerance to the medication without suffering an addiction, and some users become addicted so easily because they don't have a high tolerance. Temesta rehab facilities offer a confidentiality clause, which protects your privacy. No one at the center can discuss the reasons for your admission or any fact about your case. The level of privacy that you get at the Temesta rehabilitation facility depends on the nature of the facility. More expensive programs often give you a private room. Public institutions are often less expensive and provide less privacy. Staff can enter your room anytime, and when you stay at a public facility, you often share your room with at least one person. Call 1-888-341-7785 if you need help finding a private treatment center. Inpatient Temesta rehab programs typically last for a minimum of 28 days. If the person feels like they need more help, they can look for a program that lasts for several months. Long-term treatment facilities work with those who don't do well with shorter programs. One of the biggest advantages of longer programs is that patients learn sober strategies for life outside the center. When you leave the treatment facility, you feel more confident that you can handle yourself at work, school, or with friends and family. You can also choose a program that gives you some freedom, such as the chance to continue going to your job. When you arrive at the treatment center, a staff member will give you a short tour of the facility. If you need to detox or withdraw from Temesta, a doctor will supervise the detox before you begin your treatment plan. While at the Temesta rehab center, you will attend therapy sessions and addiction classes. These programs help you learn why you started abusing Temesta and what new skills will help you avoid using the drug in the future. When you call 1-888-341-7785, you can learn more about the treatment process. Most Temesta rehab programs accept private insurance for those who cannot afford the cost of treatment. Even if you do not have insurance, you can still get the treatment that you need. Many Temesta rehabilitation programs now offer financing options. For example, you can pay a small amount up front and pay the rest in installments. Whether you travel for rehab or stay near home depends on your personal preference. Some patients prefer an inpatient treatment facility near home because they want to be close to their friends and family. Other patients want to travel to rehab in another city because they know that their hometown is full of temptations, including addicts whom they used to associate with before. If business-related circumstances are stopping you or someone you love from getting care for a drug use issue or behavior-related addiction, executive rehabilitation facilities may be what you need. By marrying excellent substance addiction and behavioral treatments with the flexibility of computer and mobile access, an executive team member can get assistance in comfort and seclusion. Often, current drug, alcohol or behavioral addiction treatment programs provide the excellent amenities one would expect to find in the world's finest hotels, with your comfort and health being the biggest goals. From fine linens and gym facilities to in-house massage therapy and housekeeping services, you can get excellent narcotic, prescription drug or behavioral addiction treatment for yourself or someone you love while enjoying the surroundings. For assistance in searching for the best-quality luxury treatment clinics for Temesta addiction, dial our no-cost helpline as soon as you're able at 1-888-341-7785. You should continue your treatment after you leave a private rehab center. The program might offer one-on-one counseling with the counselor you worked with at the center. Other programs give you the opportunity to return to the center for group sessions and 12-step meetings. The only way that someone with an addiction to Temesta can get clean is by admitting that a problem exists. If you see the signs of addiction to Temesta in a loved one, you should talk to that person about the addiction. The moment you start looking for help is the moment that you get started on freeing yourself from your addiction. Temesta treatment programs have medical staff that can help you during the detox phase. 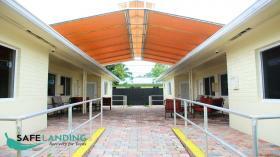 If you need help finding the best rehabilitation center, call 1-888-341-7785. It is never too late to find Temesta rehab facilities that offer customized support for your addiction. You can find the right facility that teaches you basic ways to stay away from drugs in the future. If you are ready to get clean and sober, you are ready to get started on living the life that you deserve. What are the slang, street names or nicknames for Temesta? Am I addicted to Temesta? An addiction to Temesta is similar to an addiction to any other prescription drug. Essentially, you let the drug take control over your life. Those addicted to Temesta might find themselves lying to friends and relatives, stealing to get drugs and using more of the drug than intended. You might experience mood swings or problems with concentrating because you cannot stop thinking about the drug. What are the long-term effects of Temesta abuse? If you have a problem with Temesta or know someone who does, call 1-888-716-9806 to learn more about this addiction.